“You’d be surprised how many people run camera tests with their pets for fun.” Those were the words that broke the ice between me and Panasonic’s Cinema Camera Product Manager for the US, Mitch Gross. I had sheepishly confessed to falling in love with the Panasonic Varicam LT after taking it home to capture slow-motion footage of my dog getting a bath. Mitch was completely unphased by the fact that I had used one of Panasonic’s flagship cameras to shoot an overproduced home movie, but was more interested in how features like dual native ISO and button placement served to help me accomplish my goal. That’s when the structured interview I requested, with a promise of brevity, devolved into one of the most delightful hour-long gear conversations I’ve had in recent times. In February, we kicked off a blog series that highlights how our customers use photography and videography equipment to tell their stories. The first customer we introduced you to was Brady Kenniston, a photographer who shot the SpaceX Falcon Heavy rocket launch. Today, I’m kicking off a one off series that serves as the prequel, if you will, to these customer stories, taking a more intimate look into how our favorite devices come to market and highlighting key players behind the gear we love. On the heels of the one year anniversary of Panasonic’s release of the Panasonic EVA1 camcorder, I decided to start with Mitch Gross, the man at the helm of Panasonic’s international cinema camera campaign. I discovered Mitch after joining an EVA1 group on Facebook. Excited by the camera’s release, I turned to social media for my many questions and request, just as many others did. 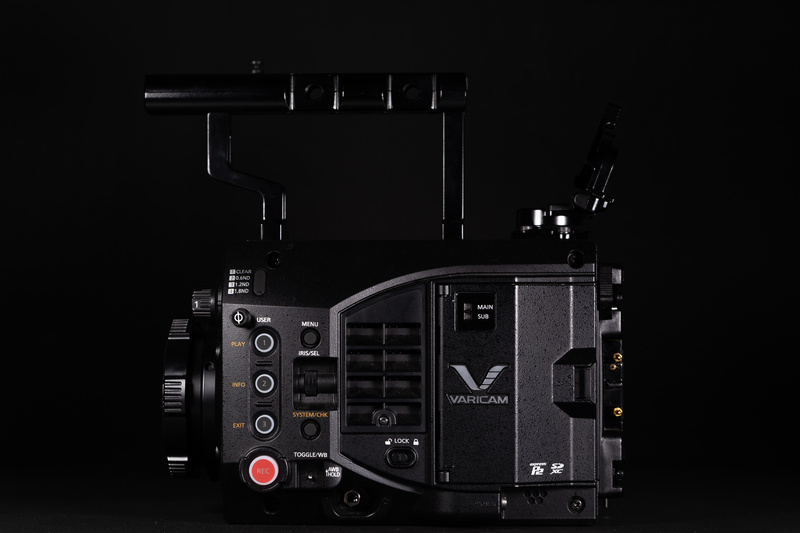 The Varicam had already been released and the EVA1 designed when Mitch took on his new role, still he acknowledged the praise and criticism of all the group members with equal grace and sincerity, sharing tips and tricks, sympathizing with frustrations, and offering tech support, even connecting users with engineers when necessary. Interfacing with his client base is important but only represents one small part of one small phase of his overall responsibilities. From start to finish, Mitch pitches ideas and coordinates feedback across targeted markets. When the factory has interesting concepts in development, Mitch speaks to key clients across various fields of video production like news, broadcast, and the film industry to find the balance of wanted features for all markets. He takes user feedback and helps determine what the market will pay in addition to helping determine where Panasonic’s products fit into the broader scope of real-world use. Simply put, Mitch is a human suggestion box who ensures cameras like the Panasonic Varicam and EVA1 check off as many boxes as possible, so all of us who create, not only trust the tools Panasonic develop but are excited about using them. The name Mitch Gross might already be known by you. He’s not new to the industry and he doesn’t shy away from the public eye. In fact, I’m guessing Mitch is a man who doesn’t meet many strangers. Mitch started out in the film industry, spending approximately 20 years working as a cinematographer. He eventually retired from active duty of those grueling 12 hour or more production days to find a career that would offer a better work-life balance. Fortunately, Mitch is a man with a true calling and his exit from video production didn’t take him far from his roots. From production to product, he began working at Abelcine where his drive to educate the masses about gear took shape, all over Youtube. His experience in the field made him appreciate how hard it can be for creators to get to use higher end equipment so Mitch used his experience and access to gear to create videos that explained fundamentals of production and showcased new or helpful equipment. After Abelcine, Mitch moved to Convergent Design and eventually Panasonic. Now working as the Cinema Camera Manager for the US, he gives a voice to the end user in the development of some of the industry’s most innovative technology. 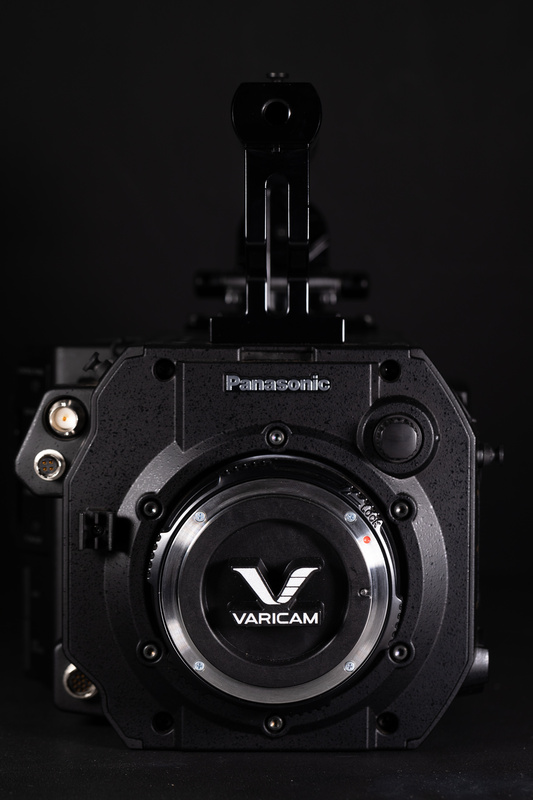 I’ve shot on a lot of camcorders and the Panasonic Varicam LT is one of my favorites. It wasn’t until I spoke with Mitch that I really even understood why I find it so appealing. Sure, it is one hell of a workhorse but I have access to lots of cameras that have lots of good things going for them. What I like most about the Varicam LT, is how comfortable it is on my shoulder. It’s not something I think about often, coming from live TV studios, I’ve come to expect shoulder mounted shots to be somewhat miserable on my narrow shoulders. Turns out, ergonomics is something Panasonic keenly observes and one of Mitch’s favorite talking points. 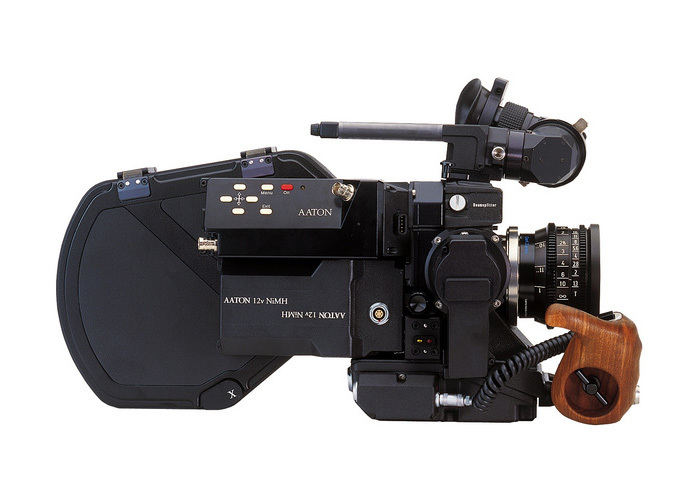 As an independent cinematographer, he used the Aaton S16 but felt he needed to solve the ergonomic complications. “The relationship of my hand, my shoulder, and my eye has not changed. That is a triangle that is created. Whether you are handheld, tripod mounted, shoulder mounted, those interfaces haven’t changed. Some people think ‘we’re going to make this camera core and then stick some widgets on it.’ It does not address the interface of the human body. 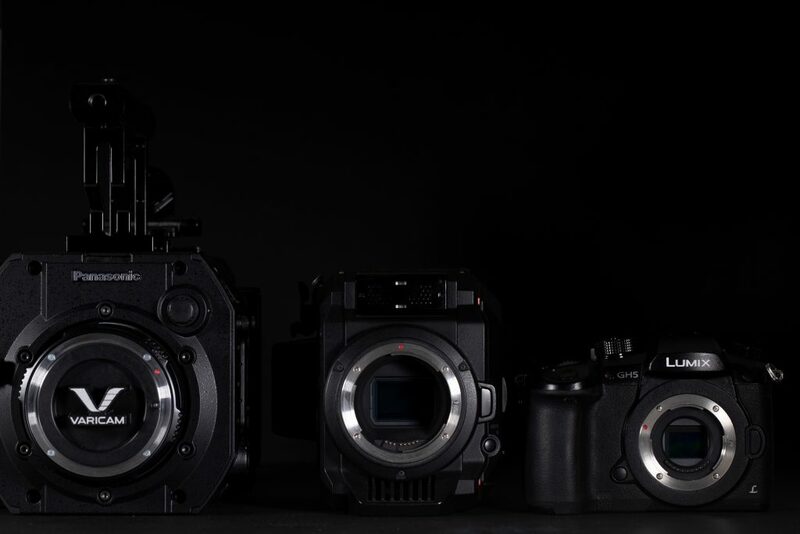 Both the Panasonic EVA1 and Panasonic Varicam cameras are kind of a box with things sticking out to create the triangle. Let’s be honest with ourselves for just a moment, we all know this statement to be true and it doesn’t matter what amazing qualities a camera is designed to have, someone, somewhere, will still have a wishlist. Understanding what the manufacturer set out to accomplish will help earn your respect for a given system, however, and that was certainly the case when Mitch explained the EVA1 from his perspective. For the Panasonic EVA1, Panasonic had a very clear vision. “We wanted to offer a balance of all the features you would ever need… in a camera body that is only 2.5 lbs.” Dual native ISO and a 5.7K sensor were sure to get people’s attention but Panasonic thought the details out even further than that. They focused on small, high-performance batteries, inexpensive media options, and a common lens mount that would make it easy for people who love their Canon L-series lenses to try out this new non-imposing camera. The reasonably priced, well-featured camera didn’t stop at convenience either. 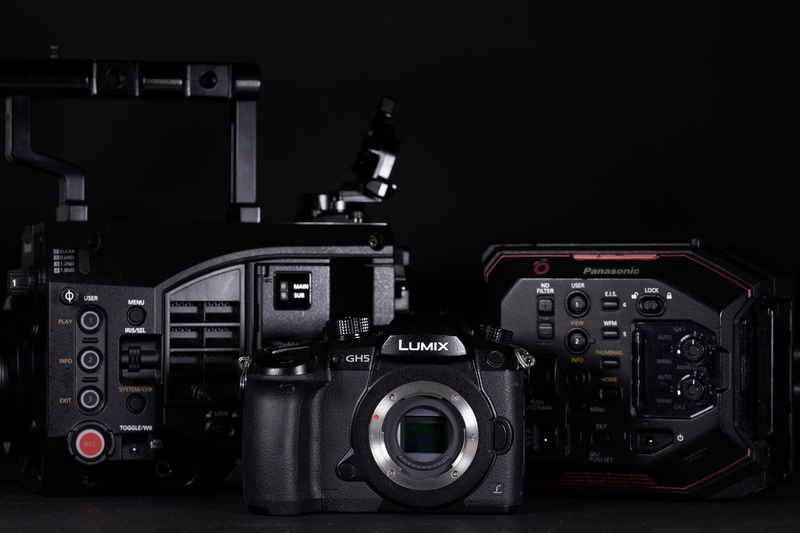 Now capable of outputting RAW or a true interlaced signal at 50MB/s, Panasonic has created one of the most versatile cameras on its price tier. With so many manufacturers content in their safe zone, I’ve often wondered what drives innovation like features found in many Panasonic products. For cameras like the Panasonic Varicam and the Panasonic EVA1, it’s reassuring to know that the person speaking on behalf of our creativity, is a creative himself. I sincerely thank Mitch for taking time out of his busy schedule to talk shop with me and I eagerly look forward to the direction he will continue to steer this great brand. On a journey all around the world is a magnificent and fascinating dream. We work all day long in our office to change this dream into reality. Still how many really able to make money? We bring to you, this awesome on line job opportunity made in a way that it helps you to receive a nice income. Work everyday and give your work few hrs and make money up to $15000 every week. It provides you with opportunity to work from anywhere with flexible time and spend some quality time with all your family members. It is time to transform your life and bring growth and joy and happiness. Now go and have a look at, magnificent things waiting for you >>> SUPERB OPPORTUNITY!!! On a journey all across the world is a wonderful and fascinating dream. We work 24 hours a day in our company to turn this dream into reality. However how many really able to make money? We bring to you, this amazing online job opportunity designed in a way that it can help you to make good money. Work daily and give your work small number of hours and make money up to $37000 weekly. It provides you opportunity to work from anywhere with extremely flexible time and spend some quality time with all your family members. The time has come to transform your life and bring growth and happiness and joy. Now go and take a look at, wonderful things waiting for you >>> SUPERB OPPORTUNITY!!! Exploring all across the globe is a magnificent and fascinating dream. We work all day long in our office to convert this dream into reality. But how many actually able to earn? We bring to you, this awesome internet based opportunity created in a way that it will help you to earn great money. Do the job daily and give your work few hrs and make money upto $25000 each and every week. It provides you with possibility to work from anywhere with extremely flexible time and spend some quality time with all your family. It is time to convert your life and bring growth and joy and happiness. Now go and check, great things waiting for you >>> SUPERB OPPORTUNITY!! !